How did you get started in the HVAC & Plumbing business Dan? I started working for a local plumber when I was 19 years old. The owner, was the most decent man I know. He treated everyone fair and honest. That experience laid the foundation for my desire to own and operate my own HVAC company the exact same way. While it’s not a big secret, people just want to be treated fairly and honestly. If you do your very best to deliver that day in and day out, success will follow. My father owned an HVAC business, which I began working for in high school. Dad didn’t play favorites, he had me start at the bottom and work my way up, through every single position. From helper to managing the company, he was my role model as a father and as a mentor in business. He built his company on the desire to always provide good service and do an excellent job for every customer. Which is at the core of all we do at DM Select Heating and Cooling. Having that laser focus in common is the “why” behind Dan and I becoming business partners. It helps guide every decision we make, every day. 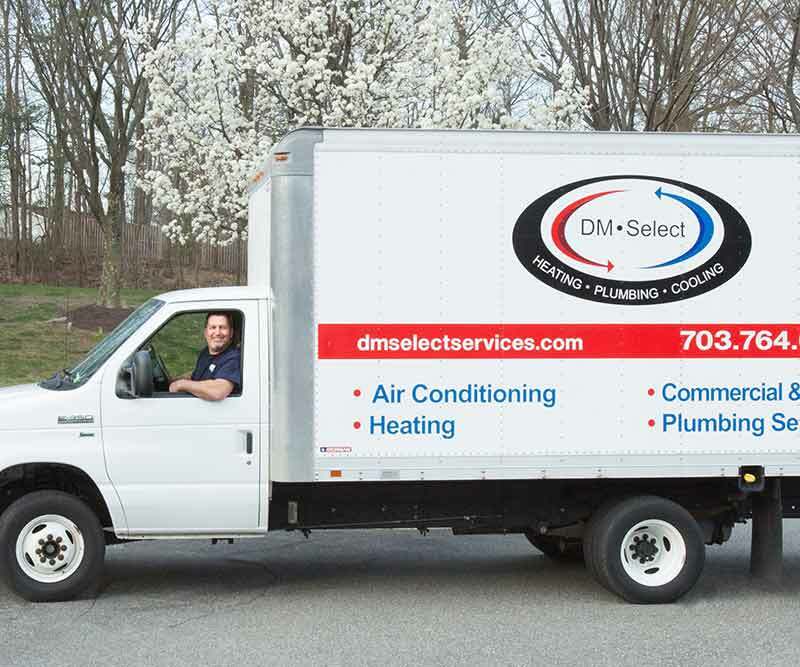 DM Select Heating, Cooling and Plumbing is top rated by the Better Business Bureau, Angie’s List, Yelp and Google. In addition, top rated by Ebsco research for Best Pick reports. We rank top in the area for heating and cooling systems, heat pumps, air conditioning, gas fireplaces, boilers, service contracts, and maintenance services and duct cleaning. 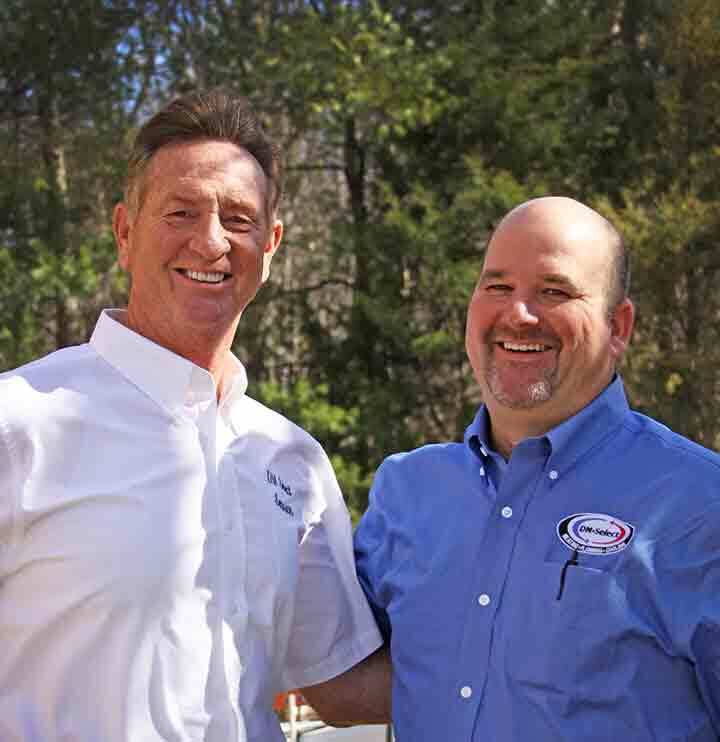 Owners Jim Workman and Dan McCarthy have provided residential and commercial heating, cooling and plumbing services in the Washington metropolitan area for over 30 years each. Both are native Northern Virginians, thus very familiar with the area, housing types, and the stresses the extreme temperatures put on a heating /cooling and plumbing systems. 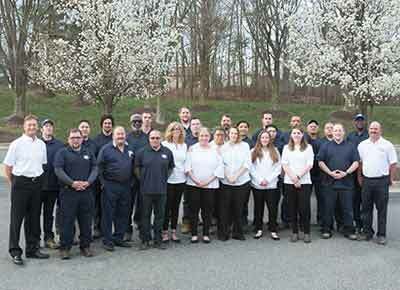 We take time on our service visit to make sure your system is doing its job as efficiently as possible. If you choose to replace your system we will evaluate your home and recommend a system that fits your needs. We hire only the best technician and installers. Every team member undergoes extensive background checks. We provide training to assure our service people are confident with the latest technologies to provide service that we hope exceeds your expectations. Each uniformed technician has a picture ID and drives a fully stocked vehicle for quick and efficient service.